On December 14, 2015, the FBI arrested then-30-year-old Mohamed Yousef Elshinawy at his home in Edgewood, Maryland.Alan Goldman, “Maryland man accused of receiving $9,000 from ISIS to carry out attack on American soil,” Washington Post, December 14, 2015, https://www.washingtonpost.com/world/national-security/maryland-man-charged-with-supporting-the-islamic-state/2015/12/14/1d8eafb2-a277-11e5-ad3f-991ce3374e23_story.html. Elshinawy was charged with attempting to provide material support or resources to a designated foreign terrorist organization, obstruction of agency proceedings, and making material false statements and falsifying or concealing material facts.Alan Goldman, “Maryland man accused of receiving $9,000 from ISIS to carry out attack on American soil,” Washington Post, December 14, 2015, https://www.washingtonpost.com/world/national-security/maryland-man-charged-with-supporting-the-islamic-state/2015/12/14/1d8eafb2-a277-11e5-ad3f-991ce3374e23_story.html. Elshinawy was taken into custody after he allegedly received thousands of dollars from ISIS operatives. ISIS militants reportedly instructed Elshinawy to commit an attack similar to the thwarted May 2015 attack at the “Draw Muhammad” contest in Garland, Texas. Elshinawy had allegedly pledged allegiance to ISIS and desired to die as a martyr.Alan Goldman, “Maryland man accused of receiving $9,000 from ISIS to carry out attack on American soil,” Washington Post, December 14, 2015, https://www.washingtonpost.com/world/national-security/maryland-man-charged-with-supporting-the-islamic-state/2015/12/14/1d8eafb2-a277-11e5-ad3f-991ce3374e23_story.html. Elshinawy received money from ISIS operatives via both PayPal and Western Union. He received at least $8,700 between March and June 2015, and used a portion of this money to purchase a laptop computer, a cell phone, calling cards, Internet hotspot access, and a private VPN network. The cell phones, laptops, and Internet access purchases were allegedly used to communicate with ISIS militants overseas.“United States of America v. Mohamed Elshinawy,” United States District Court for the District of Maryland, December 11, 2015, 12, http://www.justice.gov/opa/file/798901/download. Elshinawy has denied any plan to attack the United States, insisting that he only wanted to take money from ISIS, who he called “thieves.”Alan Goldman, “Maryland man accused of receiving $9,000 from ISIS to carry out attack on American soil,” Washington Post, December 14, 2015, https://www.washingtonpost.com/world/national-security/maryland-man-charged-with-supporting-the-islamic-state/2015/12/14/1d8eafb2-a277-11e5-ad3f-991ce3374e23_story.html. Monitored communications between Elshinawy and an unnamed childhood friend revealed that Elshinawy was allegedly planning to join his friend overseas and fight for ISIS. According to the U.S. Department of Justice, Elshinawy had instructed his friend to listen to the “lessons of [Abu Mohammed] al-Adnani,” ISIS’s official spokesman.“United States of America v. Mohamed Elshinawy,” United States District Court for the District of Maryland, December 11, 2015, 13, http://www.justice.gov/opa/file/798901/download. Black Eyes“United States of America v. Mohamed Elshinawy,” United States District Court for the District of Maryland, December 11, 2015, 11, http://www.justice.gov/opa/file/798901/download. Mo Jo“United States of America v. Mohamed Elshinawy,” United States District Court for the District of Maryland, December 11, 2015, 8, http://www.justice.gov/opa/file/798901/download. 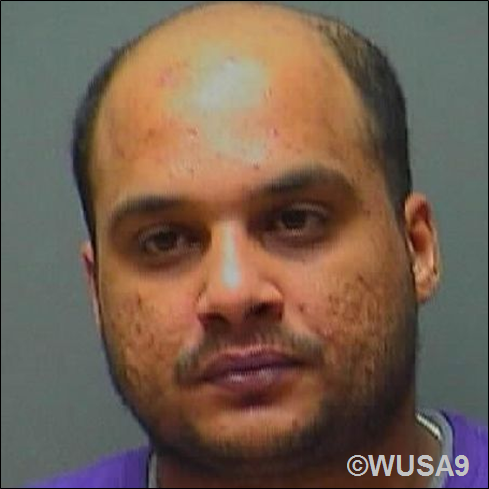 MoJoe “United States of America v. Mohamed Elshinawy,” United States District Court for the District of Maryland, December 11, 2015, 1, http://www.justice.gov/opa/file/798901/download.